Val Shactman realized something was very wrong when the paramedics prepared to shock him. By this point, his heart was pounding at hundreds of beats a minute. The 37-year old was rushed to Royal Columbian Hospital for a heart arrhythmia that left him hospitalized for weeks. What he saw during his lengthy stay at Royal Columbian made a profound impact on his life. Val was at a high elevation in Whistler the first time he remembers noticing something unusual. Despite not being particularly active at that moment, he felt short of breath. In subsequent months, he occasionally would feel his heart inexplicably speed up before returning back to normal. On the fateful evening, as he arrived home after walking the dog, the pounding was the most intense it had ever been. Nowadays, Royal Columbian Hospital is well-equipped and trained to treat this heart disorder. But back in 2008, patients had to go elsewhere for treatment. In Val’s case, he was transported to Vancouver Island. Prior to being airlifted there, Val spent five weeks under monitoring at Royal Columbian Hospital. The experience, he says, left a tremendous impression on him. As he watched the health care professionals in action, Val spent a lot of time reflecting on his life. Val had worked in accounting and inventory prior to his hospitalization. But once he was discharged, he set his sights on creating a business. 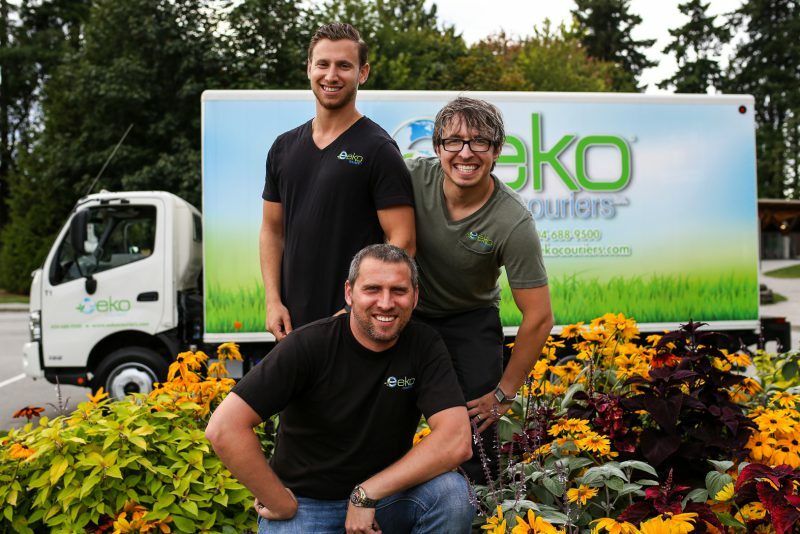 Six months later, eeko Couriers was established. Val feels much more fulfilled these days and says the business has also allowed him to give back to the hospital. The company has become a sponsor of the annual Making the Cut Charity Golf Classic organized by frontline hospital staff.